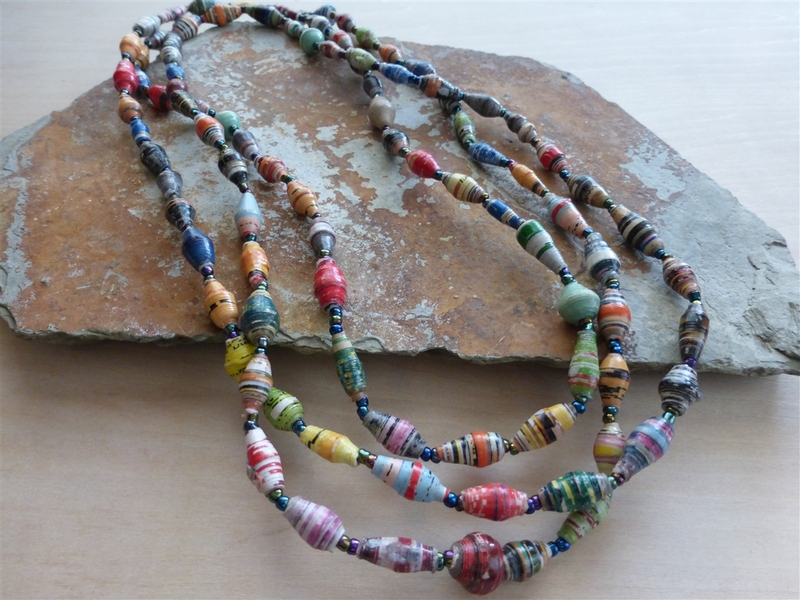 Enjoy this fun, versatile 33" necklace handmade of African paper beads crafted by Ugandan women from recycled paper. Can be worn as a triple chocker, double or single strand! Save the environment while supporting a great cause! 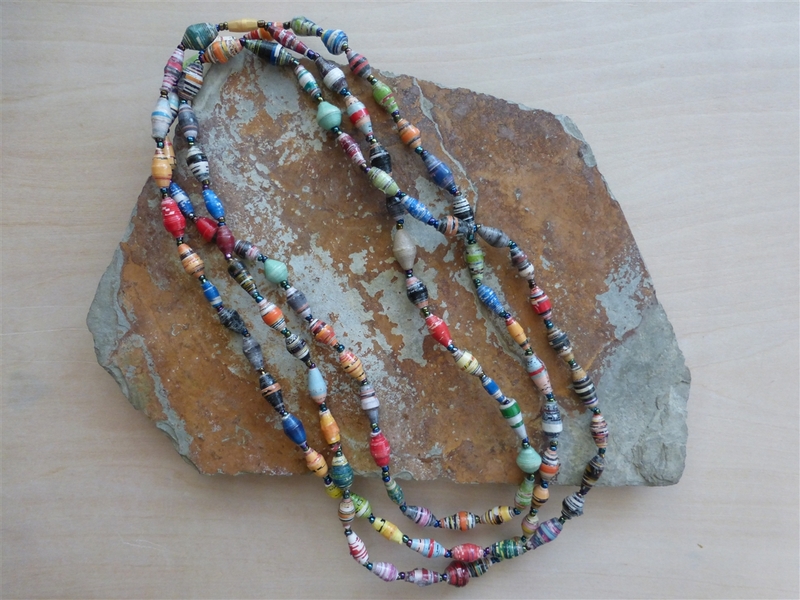 Handmade African paper beads crafted by Ugandan women from recycled paper. Save the environment while supporting a great cause! Enjoy this fun, versatile 33" paper bead necklace. Worn as a triple strand cocker, double strand or single! Hand made by women in Uganda.